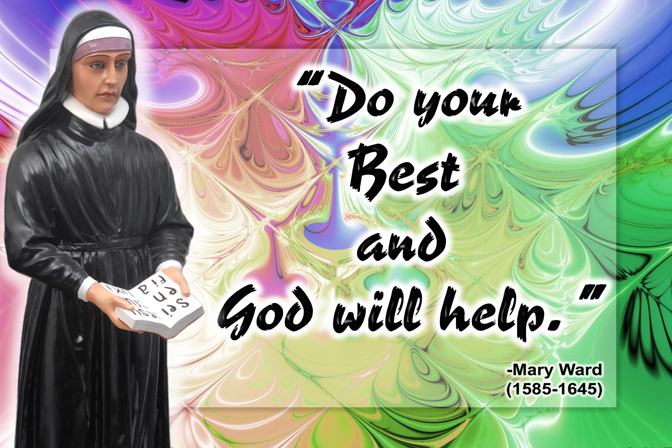 Do your best and God will help. 2. God is rich enough for us all. The spirit of God is not ill-mannered, but teaches all courteousness. Take all, even the least thing, as coming directly from God. Do not endeavour so much to please your neighbour as to be of use to her. Strive more to merit the praise and love of others than to receive it. We ought diligently to endeavour to give a good example to everyone. Do good and do it well. Let no day go by in which you do not heroically conquer yourself. be diligent to root out your vices, but not to hide them. The best way to bear troubles with equanimity is to thank God for them.